Locked away beneath the surface of Mars are vast quantities of water ice. But the properties of that ice—how pure it is, how deep it goes, what shape it takes—remain a mystery to planetary geologists. 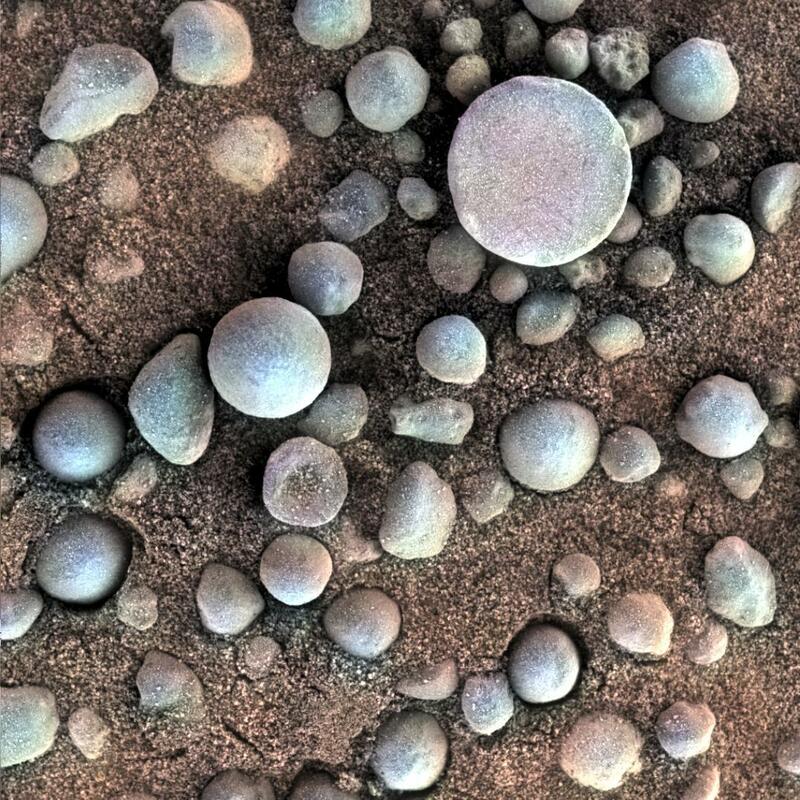 Those things matter to mission planners, too: Future visitors to Mars, be they short-term sojourners or long-term settlers, will need to understand the planet's subsurface ice reserves if they want to mine it for drinking, growing crops, or converting into hydrogen for fuel. 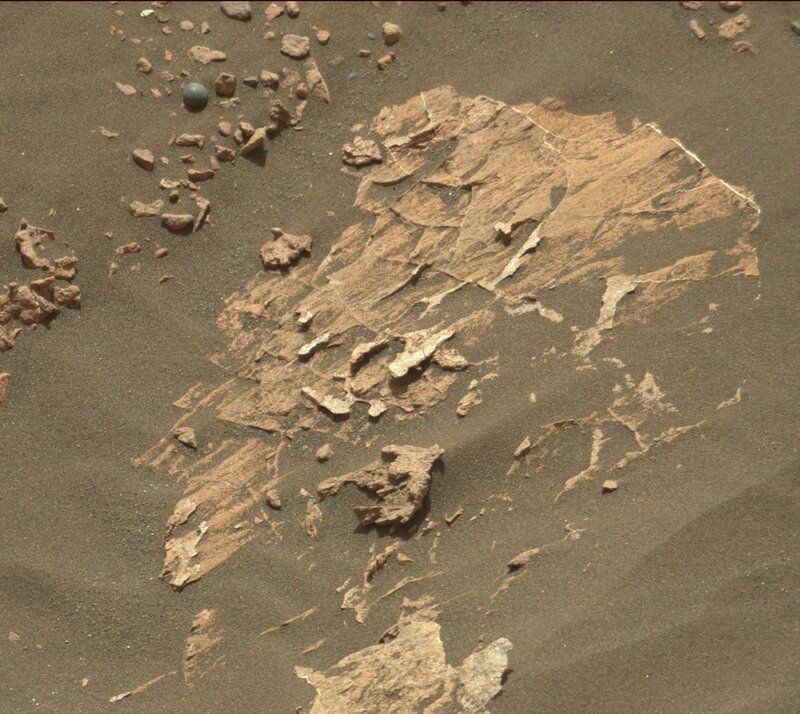 Trouble is, dirt, rocks, and other surface-level contaminants make it hard to study the stuff. Mars landers can dig or drill into the first few centimeters of the planet's surface, and radar can give researchers a sense of what lies tens-of-meters below the surface. But the ice content of the geology in between—the first 20 meters or so—is largely uncharacterized. Fortunately, land erodes. Forget radar and drilling robots: Locate a spot of land laid bare by time, and you have a direct line of sight on Mars' subterranean layers—and any ice deposited there. 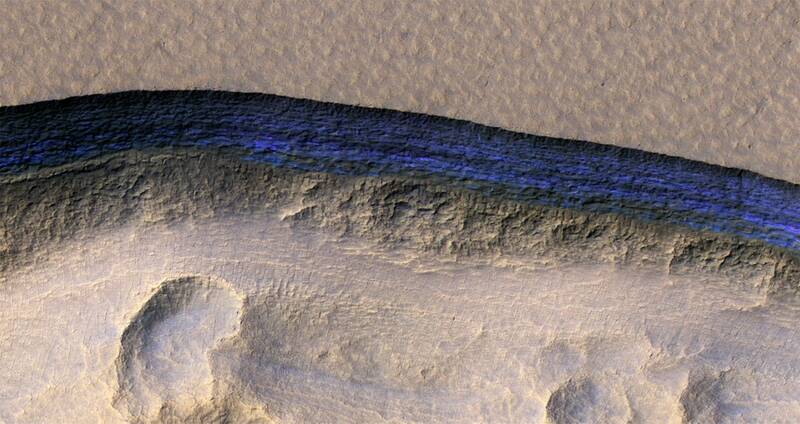 At this pit on Mars, the steep slope at the northern edge (toward the top of the image) exposes a cross-section of a thick sheet of underground water ice. This vertically exaggerated view shows scalloped depressions in a part of Mars where such textures prompted researchers to check for buried ice, using ground-penetrating radar aboard NASA's Mars Reconnaissance Orbiter. They found about as much frozen water as the volume of Lake Superior. At the latitude of this deposit -- about halfway from the equator to the pole -- water ice cannot persist on the surface of Mars today. It sublimes into water vapor in the planet's thin, dry atmosphere. The Utopia deposit is shielded from the atmosphere by a soil covering estimated to be about 3 to 33 feet (1 to 10 meters) thick. The name Utopia Planitia translates loosely as the "plains of paradise." The newly surveyed ice deposit spans latitudes from 39 to 49 degrees within the plains. It represents less than one percent of all known water ice on Mars, but it more than doubles the volume of thick, buried ice sheets known in the northern plains. Ice deposits close to the surface are being considered as a resource for astronauts. Utopia Planitia is a basin with a diameter of about 2,050 miles (3,300 kilometers), resulting from a major impact early in Mars' history and subsequently filled. NASA sent the Viking 2 Lander to a site near the center of Utopia in 1976. 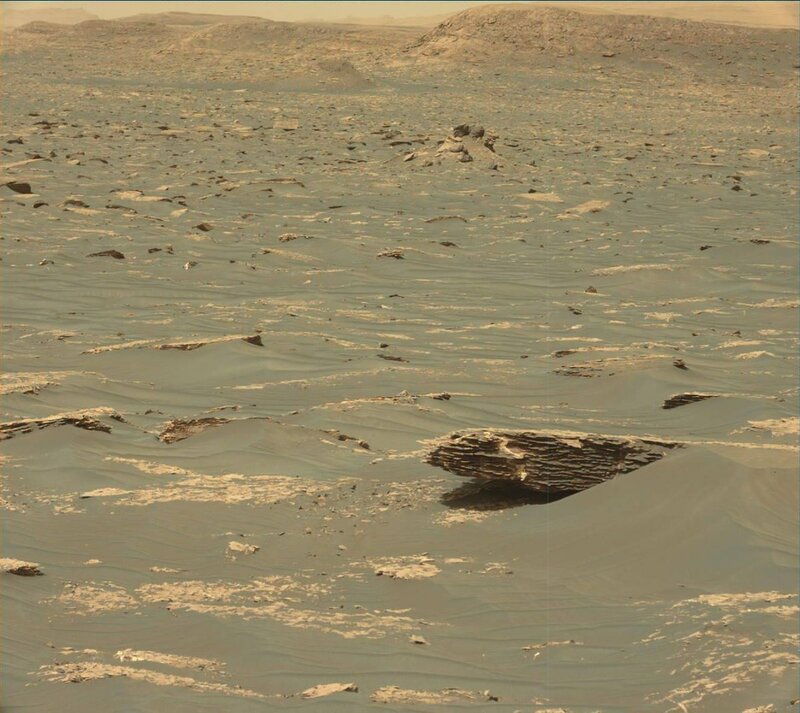 The portion examined by Stuurman and colleagues lies southwest of that long-silent lander. SHARAD is one of six science instruments on the Mars Reconnaissance Orbiter, which began its prime science phase 10 years ago this month. 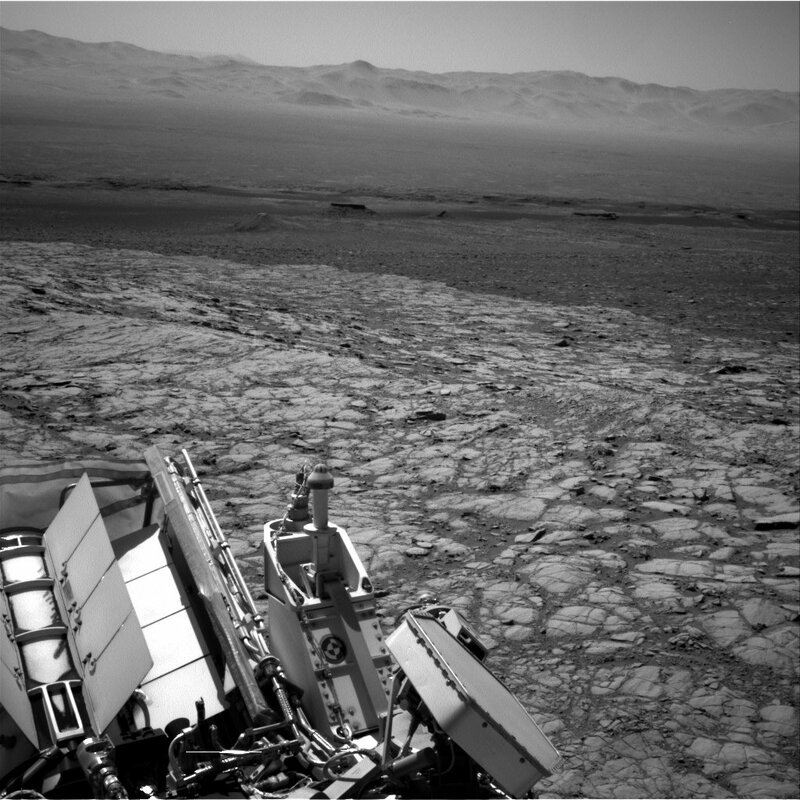 The mission's longevity is enabling studies of features and active processes all around Mars, from subsurface to upper atmosphere. The Italian Space Agency provided the SHARAD instrument and Sapienza University of Rome leads its operations. The Planetary Science Institute, based in Tucson, Arizona, leads U.S. involvement in SHARAD. JPL, a division of Caltech in Pasadena, manages the orbiter mission for NASA's Science Mission Directorate in Washington. Lockheed Martin Space Systems of Denver built the spacecraft and supports its operations. Layers of meaning! 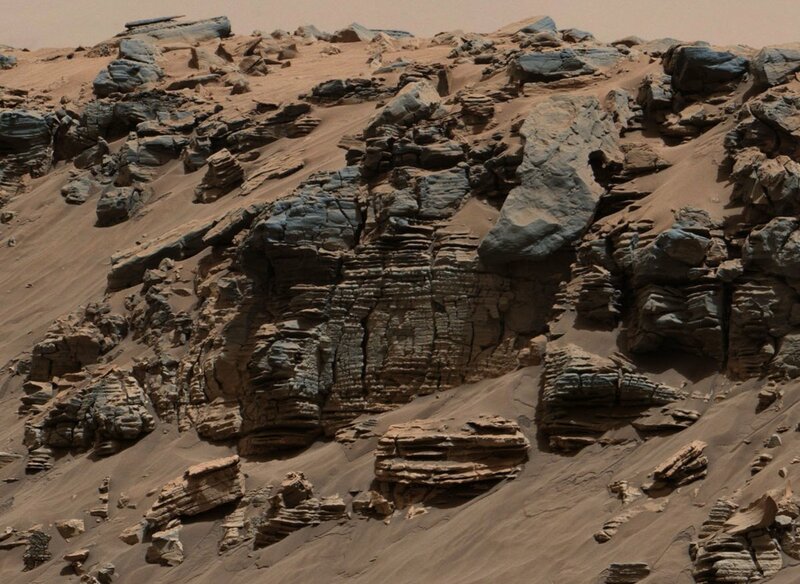 Rocks show deep & shallow waters of an ancient #Mars lake could've supported different microbes. Very interesting. Terraforming Mars is definitely a ways away, but this makes it a bit more feasible. Looks like you only need a shovel to get to some water on Mars. That's huge. I hope space program intensifies again. We need a race to the Mars imho. I doubt the Russians would want to race us after the last time - they did beat us to the Moon, at a steel shattering 166 MPH their craft "Tuna" hit the surface a day before the Eagle Landed. Add in the Gymnastics of the Curiosity Rover's landing ...... yup, I don't think the Russians want to deploy anything by themselves - an International effort by America, Russia & China would be nice, spendy, but it would have all three talents working together and make the Impossible Sci-Fi dreams come true of landing a sustainable station outpost on Mars that can withstand the politics of Earth.